Welcome to my new website! I am introducing fine art prints with the new website. “State Fair” is the first ever print I am selling. It is a 12″x16″ print on 13″x19″ watercolor paper. The original painting is a gouache painting. This painting had won honorable mention in Jerry’s Artarama’s Turner Gouache painting contest. 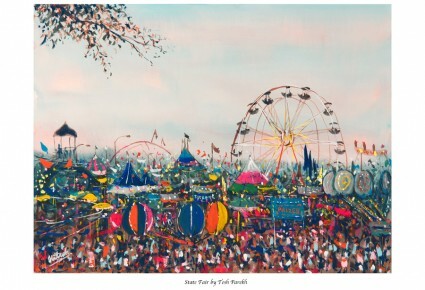 The painting captures colors and excitement of a state fair. To purchase this print, go to the “Store” section of my website. Please contact me directly if you would like to purchase any of the original paintings.